It’s no secret that New Mexico has some of the most diverse ways to get outside in the country, offering everything from easy family hikes to endurance mountain bike rides and back country backpacking routes. No matter how you choose to take to the outdoors, it’s important to make sure you stay on top of food and water. No. 1 priority is to pay attention to your hydration. Start by making sure you have kept up with your hydration prior to hitting the trail. You’ll want to make sure you have adequate water packed in bottles or a hydration bladder to carry in your pack. For easier hikes, you should plan on approximately 1/2 liter of water per hour. For more strenuous hikes or in warmer conditions, you should increase that to one liter per hour. Those are general guidelines that you should adjust according to personal experience (remember to consult the color of your urine to quickly assess hydration status). Eat a combination of complex carbohydrate and lean protein one to three hours before. For short hikes, just like shorter workouts, you probably only need water. But it’s always a good idea to pack some food for unforeseen circumstances. For longer hikes – especially ones that overlap meal times – you’ll need a more robust supply. Stick to foods that don’t need to be refrigerated. Or freeze foods overnight to be defrosted by the time you want to eat. When you’ve completed the hike, it’s important to help your body adequately recover. Ideally, you should eat high-quality proteins or complex carbohydrates within a few hours of finishing. If you are an endurance athlete who is running, riding or trekking at higher intensities and for longer periods of time, your needs will vary – especially carbohydrates. If you would like to get more specific with nutrition to fuel your active lifestyle – regardless of the activity – schedule a 30-minute consultation with Mikey to see how you can eat better, feel better and perform better. 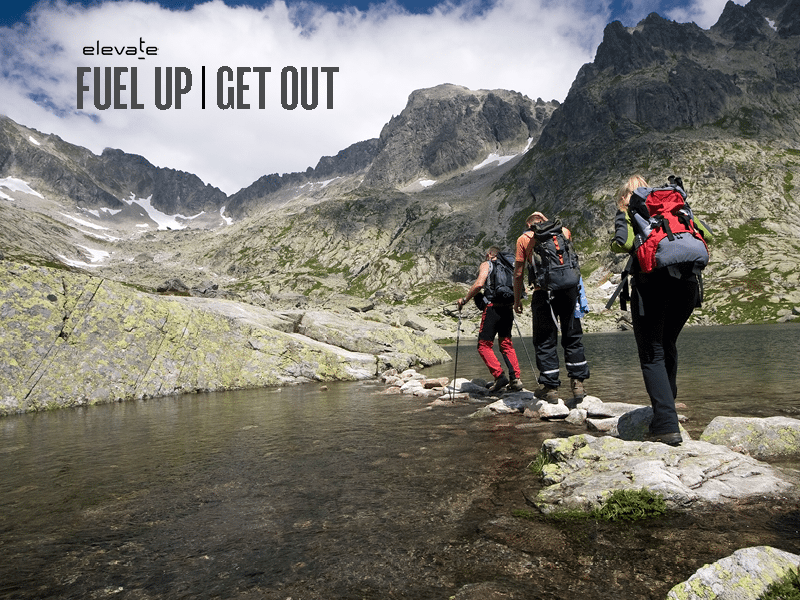 Join us for a mini-seminar on fuel for the trail and for your workouts on April 28, 8 a.m. at Elevate.